Cloud Computing is all about outsourcing IT infrastructure and applications to run on a remote resource. Most technical people still believe that Cloud Computing is the same as traditional web-hosting model. Among the multiple factors that led to the evolution of Cloud Computing, the way Internet Service Providers (ISP) matured over time is one. 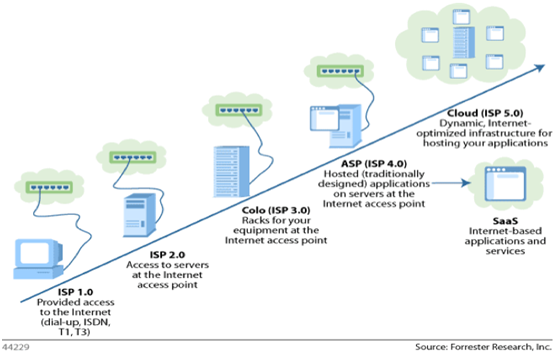 The figure below illustrates how ISP turned into Cloud Computing.